This week, I’ve been focused on only one project. Everything else has been left sitting while I worked on it. 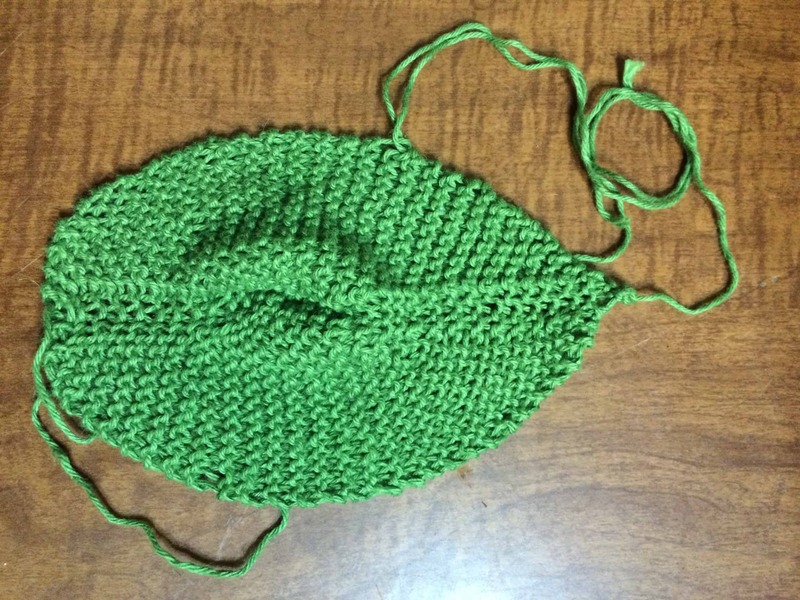 Last October, I made a single dishcloth in the shape of a leaf. Apparently, I never blogged about it, so I can’t link you to a previous post, but you can check out my Ravelry project page if you want to see it. That leaf was in stockinette stitch. 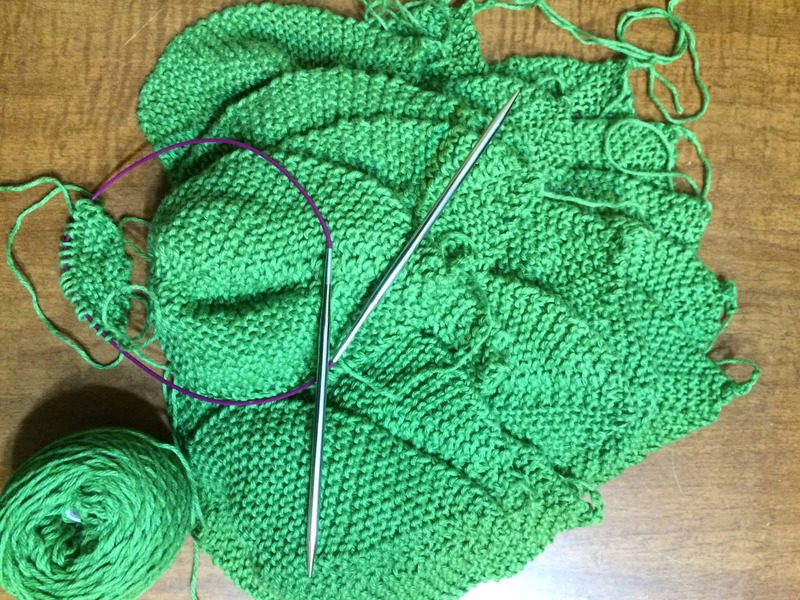 On the same blog post, the designer had a garter stitch version, so I decided to try it out. I liked how it looked, so I decided to use this pattern as one of the days of the Dishcloth Advent Calendars. I’m making 18 of those, so I’ve been knitting leaf after leaf. The 18th one is on the needles now. I just have to finish it, and weave in all the ends!